Located at a walkable distance from Karol Bagh Metro Station, Hotel Rahul Palace is easily accessible from anywhere in the city. 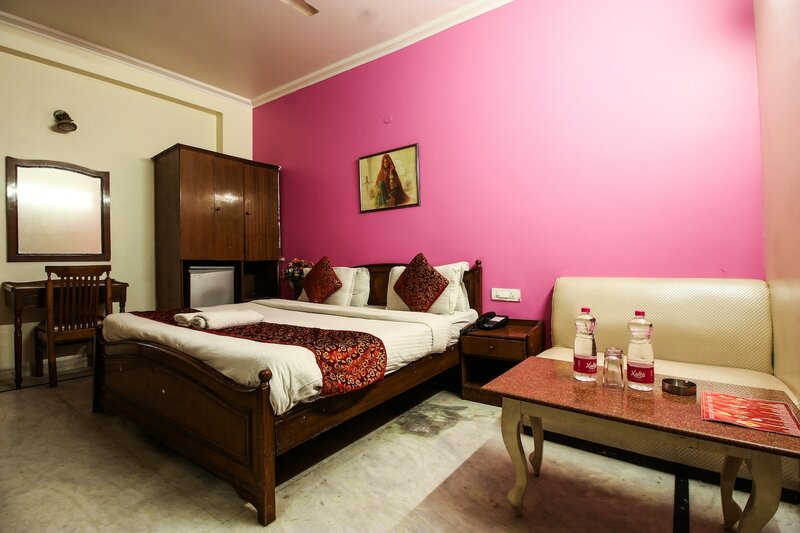 Some tourist destinations near this hotel are Bhuli Bhatariya ka Mahal, Chawri Bazar, Connaught Place and Talkatora Infoor Stadium. Hotel Rahul Palace features simple decor all over the property. The rooms have been done up in different colours to add character to the rooms. The furnishing and furniture are brown in colour which complete the overall theme. This hotel offers free Wi-Fi, AC, TV, geyser, and room heater. It also provides laundry service, power backup, CCTV security and elevator.